The Journey concert is set to take place on Thursday night at a private fundraising party in Tampa, Florida. The event is being held in the midst of the Republican National Convention and will include a 90-minute set from the famed musicians. Here’s the best part, Journey is not offering any type of political support for Romney and have said it is just another paid gig. What might make the concert most amusing is the fact that Michaele Salahi will be in on hand. Salahi and Journey rocker Neal Schon have been an item for the better part of a year. Journey won’t be the only act in attendance, also making an appearance at the RNC are Lynyrd Skynyrd and Kid Rock among other famous faces. Even the Huffington Post is getting in on the act by offering free yoga to delegate through the “Oasis” which will be held outdoors from Monday through Thursday, hurricane weather permitting. As for the RNC convention itself? The events main kickoff events have been moved to Tuesday as tropical storm Isaac prepares to touch down in the state on Sunday afternoon. 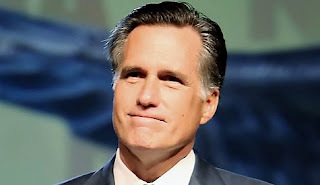 Do you think Mitt Romney’s Journey concert is proof that he has no concept of the average family’s plight in America?